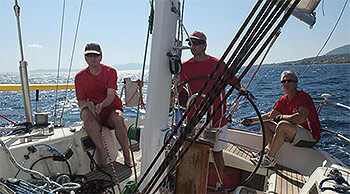 The Athens Sailing Academy is an English speaking ASA sailing school in Greece offering sailing school holidays while sailing in the Greek islands. Why not learn how to Sail at a school where sun shine and warm waters abound, rather than cold cloudy skies and Foul weather gear. 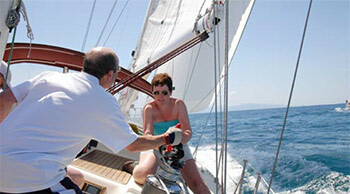 The areas in which we sail, the Argolic Saronic gulf and Cyclades offer excellent sailing conditions. The weather can vary from a placid force 3 to a much more exciting force 6. Its always sunny with clear blue skies and the water temperature in mid summer is very warm. All this makes the need for fleeces and wet weather gear redundant . The islands and ports that you will stop in are typically greek and un-spoilt. You will find many deserted coves and bays where few yachts still go. 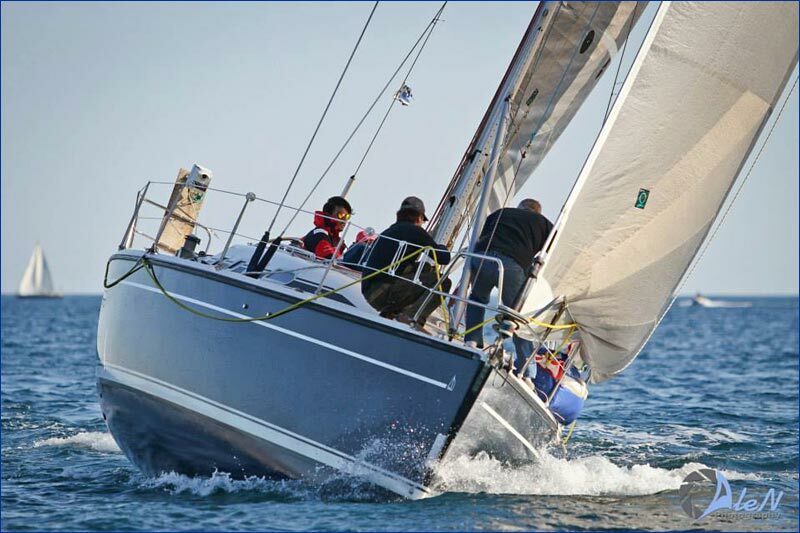 NOVICE SAILOR TO BARE-BOAT SKIPPER IN 10 DAYS.